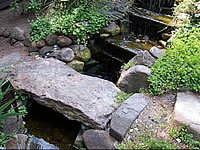 Ponds have changed over the past couple of years. They need to be highly efficient in terms of energy use and maintenance. 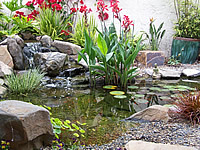 Most people will opt for at least some kind of flowing water feature, as it adds life and interest to the garden. 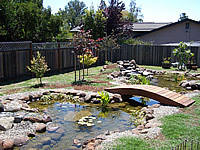 For the Koi or nature enthusiast, a large pond is needed. 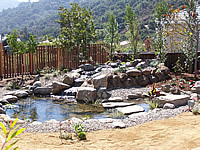 I love large ponds, and use mine for watering landscape plants. I’ve also created waterways and eddies that my children spend hours splashing in.